Drill is a necessary evil in the life of a soldier. His ready obedience may be the difference between life and death, victory and defeat! 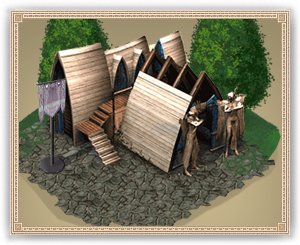 Even a castle garrison must keep its military skills honed if it is to be any use, and drills are an important part of fighting like a unit rather than a mob. The same skills can be passed on to new recruits as they learn the trade of soldiering.